Last fall, I took a trip down to the Valle de Guadalupe, just north of Ensenada in Baja California. People call it the Napa of Mexico, and sure, there are a surprising number of wineries, one dating all the way back to 1888. But what struck me even more was a particular design aesthetic. 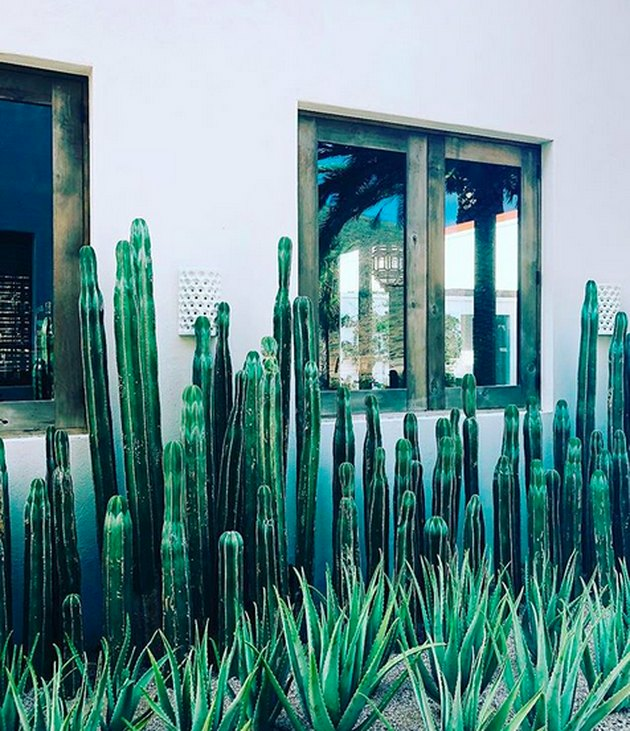 Architects, hoteliers, and restaurateurs were combining the best of what Baja had to offer — desert flora and fauna, traditional textiles, simple materials — with edgy tile, clean lines, and elements of industrial-chic. 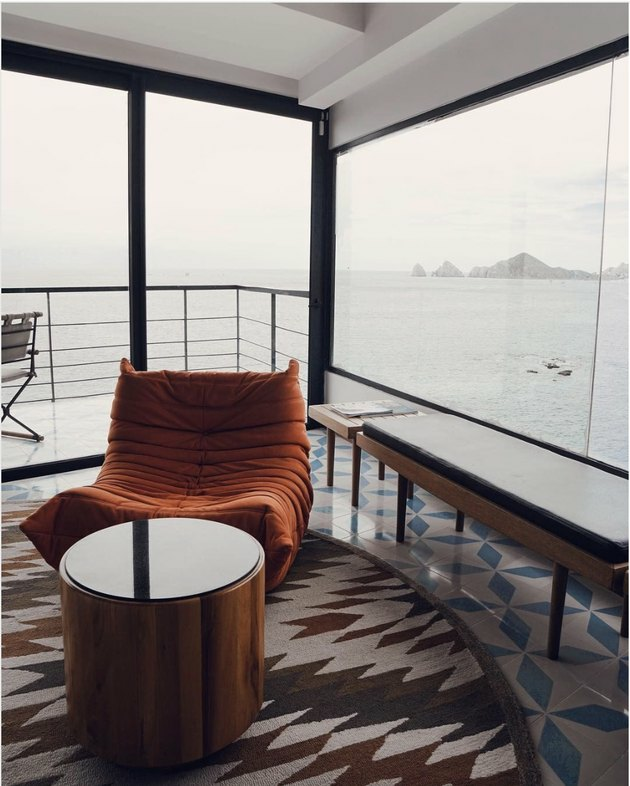 The result — I think of it as Baja Modern — is wholly unique, and, to me at least, visually irresistible. 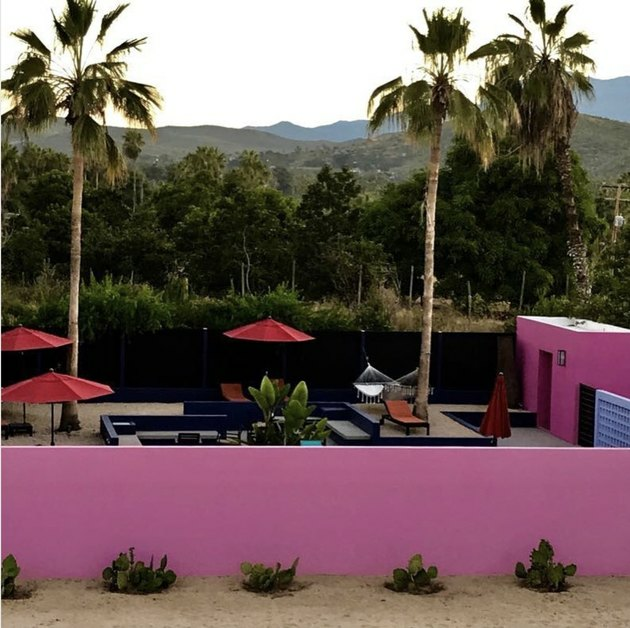 The Hotel San Cristobal in Todos Santos crystallizes some of the best of Baja Modern — and nowhere is it as apparent as in the signature tile used throughout. 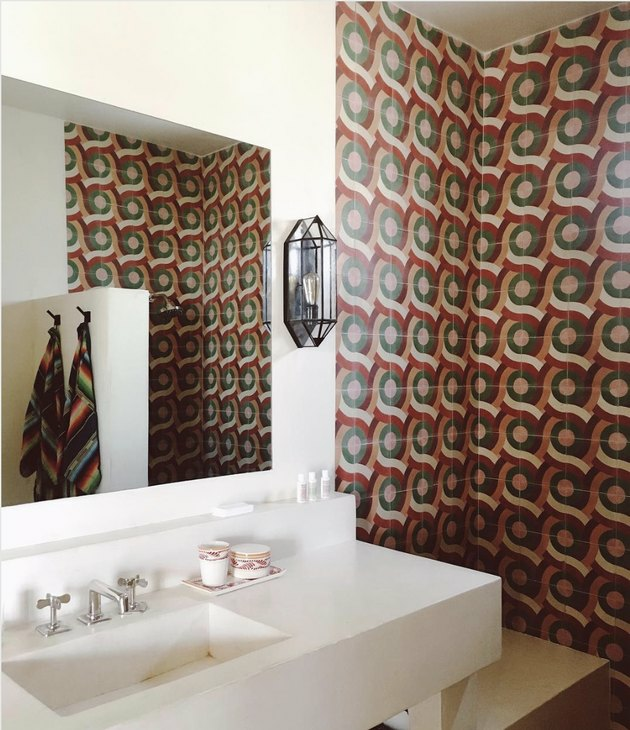 Hotelier Liz Lambert said in an interview, "We found the woman who had done that original tile design and licensed it from her and changed some colors. It seems so Mexico to me, the green, red, orange, and blue. 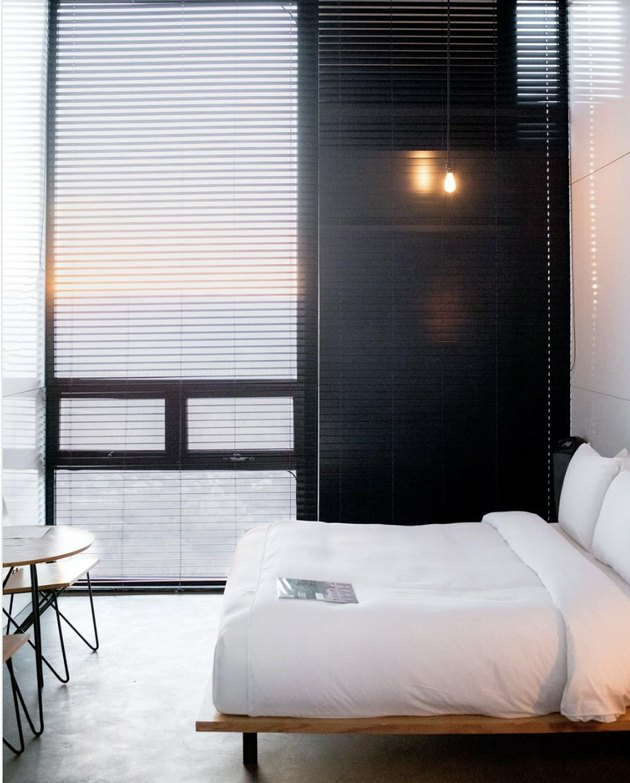 And then those colors became the colors of the hotel that are repeated everywhere." 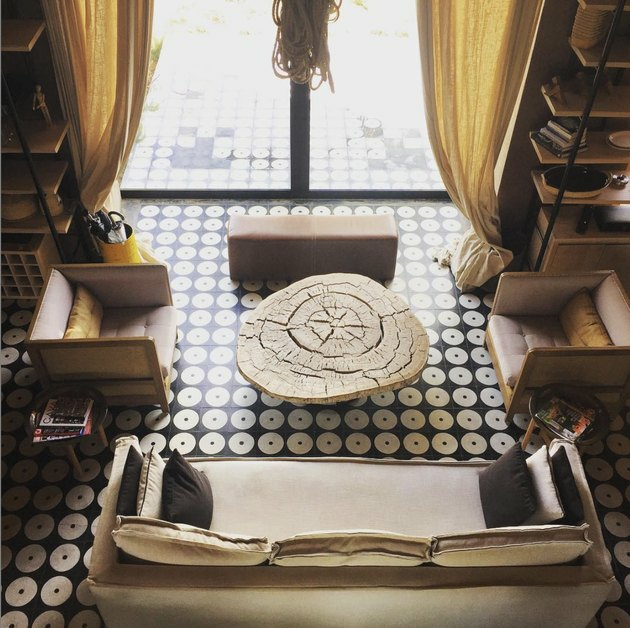 (The cement tiles are by Amethyst Artisan). 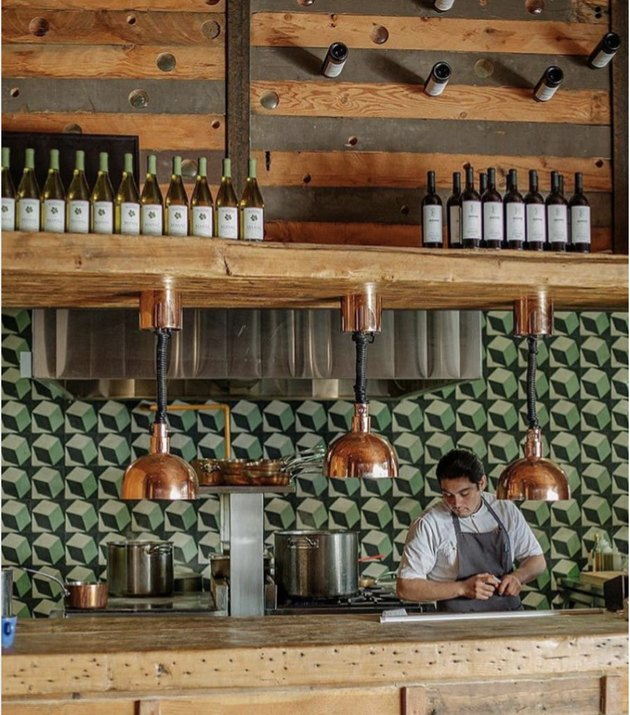 Similarly, at Bruma, an impossibly chic winery deep in the Valle de Guadalupe, bold tile is used strategically both in its restaurant, Fauna, as well the bed and breakfast, Bruma Casa 8. Colorful handmade textiles, with humble roots, are all over Baja, from the street vendors in Tijuana to high-end hotels. At the Hotel San Cristobal, the hand-woven bedspreads came from a small village outside of Oaxaca. 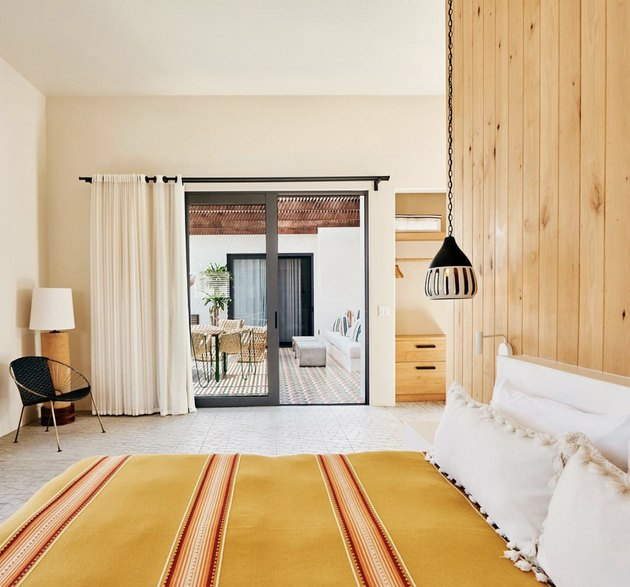 The vibrant color you see in textiles carries through to the buildings themselves — as is the case at The Hotelito in Todos Santos, a bed and breakfast by the English designer Jenny Armit. 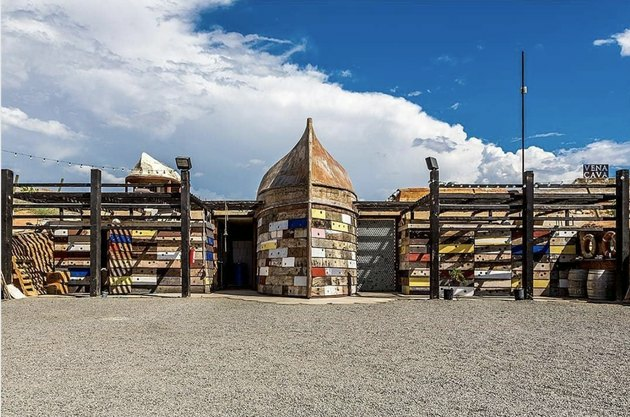 Reclaimed materials are ubiquitous in Baja — because in the vast mostly un-populated desert landscape, building materials are not always easy to come by. 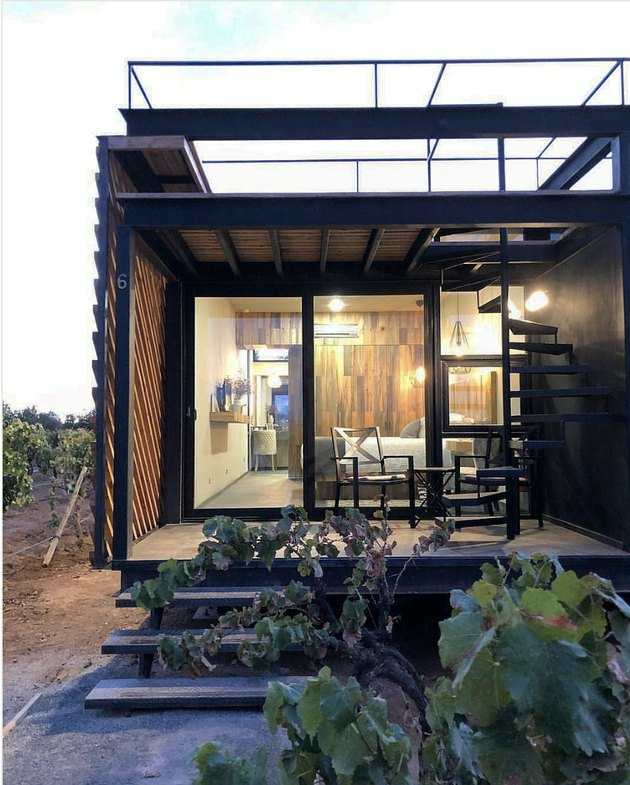 What design-minded folks have done different, though, is to use them in innovative ways — like the upended ships that serve as wine caves at Vena Cava, designed by architect Alejandro D'acosta. "When you recycle a boat, or when you reuse an object, part of the original soul of the object is still there," D'Acosta told NPR. For similar reasons, concrete floors are a common feature. Plant ladies, stand down with your sprawling philodendrons and fiddle leaf figs. There's still something deeply compelling and architectural about simple desert plants. 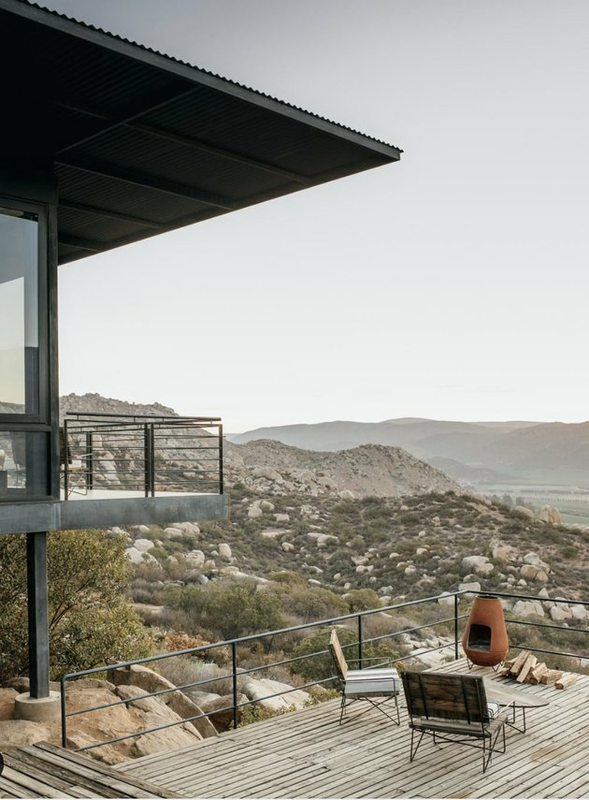 In Baja, they're a given — and where Baja modern is practiced, they're elevated and often take center stage. Industrial minimalism reigns at Hotel Encuentro Guadalupe — a handful of shipping containers set in a mountain, looking east into the Valle. The vibe is perhaps best captured on the private decks, where old school Mexican chimeneas co-mingle with industrial-modern loveseats and tables. Similar vibes can be found at the nearby Hotel Partana. Simple, rustic materials are everywhere — like the hay bales and rock walls that artfully comprise Bar Bura, the cliffside outdoor bar at Cuatro Cuatros, just north of Ensenada, where 44 renowned architects have had a hand at creating a compound that is part winery, part adventure park, park glampground, and part private community. And of course, there's the landscape itself — the star attraction in almost every Baja design. 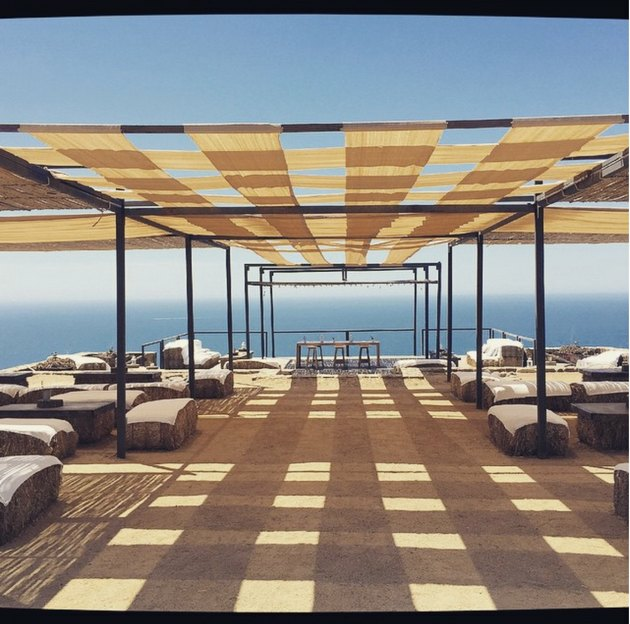 At its best, it's the roaring Pacific, captured perfectly at The Cape, in Cabo San Lucas.